I'm pooping my pants just thinking about them. A new Harris Poll has just been released: “the 30th annual EquiTrend Study reveals the strongest brands across the media, travel, financial, automotive, entertainment, retail, restaurant, technology, household and nonprofit industries, based on consumer response.” The poll monitors 3,000 brands, based on an online survey of more than 77,000 Americans ages 15 and up. The top (strongest) brands appear to be the ones that consumers are most familiar with across the country, otherwise why would Subway be listed as top sandwich shop (tied with Panera)? Or Taco Bell taking the top spot for Mexican restaurant, upending 2017 winner Moe’s, and 2016’s Chipotle? The poll lists some up-and-comers in the food world: Blaze Pizza for one, or Five Guys for burger restaurant. But most seem to fall in the “familiar” category, like Cheesecake Factory and Texas Roadhouse tying for casual restaurant, Chick-Fil-A for chicken restaurant, Ben & Jerry for ice cream shop, and Krispy Kreme for coffee shop. Nothing against a run for the border (and those Nacho Fries), but if your fave Mexican restaurant is Taco Bell, may we also suggest checking out a local taqueria, or perhaps whipping up your own carnitas? You wouldn’t be the first person to stare with glazed eyes at the non-stop cable news feed and think “Our country is so, so very screwed.” But what can ordinary citizens really do to make a difference? We can march. We can protest. We can sign online petitions demanding fast-food restaurants bring back our favorite discontinued menu items. As Taco Bell’s reintroduction of the Beefy Crunch Burrito demonstrates, we can effect change if we only dare to dream. 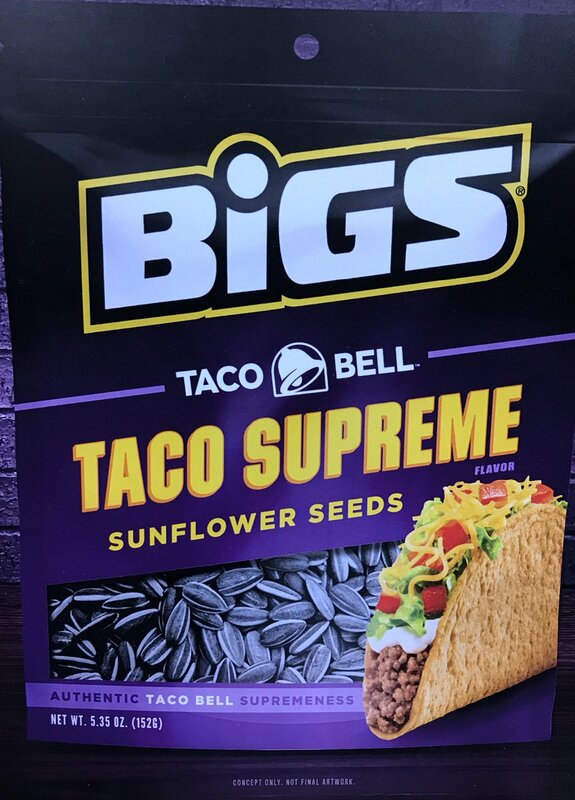 Nation’s Restaurant News confirms the rumors that Taco Bell has resurrected its cult-favorite Beefy Crunch Burrito, a combination of beef and spicy Frito’s which has been discontinued for two years. As it was in 2016, the BCB will return only for a limited time, either a la carte for $1.49 or as part of a $2 combo with a Baja Blast drink. Who do we have to thank for tirelessly campaigning for our god-given right to order Frito’s inside a beef burrito? A 73,000-fan strong Facebook group called Beefy Crunch Movement. This is no joke of an account; the group was founded in 2011, sells merchandise, and appears better run than most of today’s mainstream political parties. I had this one once. I admit I enjoyed it. I first had the beefy crunch burrito in 2011. I had moved for a job. I was in a new town with people I wasn't quite connecting with. The job was fizzling out and I was at a sort of rock bottom..an existential crossroads. I had the beefy crunch burrito for lunch every other day for most of that summer. It was a dollar. It was delicious. It filled a void in my soul. I saw this post leaving work today and stopped to order a secret beefy crunch burrito (plus an on tap baja blast pairing). I ate it in a walgreens parking lot. It was not particularly glamorous, but I found solace in the tinted windows of my 2006 Malibu. A passionate tryst with a forgotten friend. It was good but not great; nostalgic in a bittersweet way. 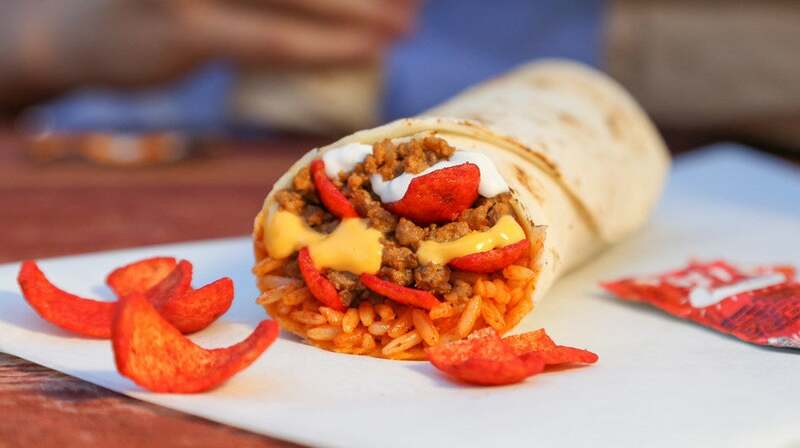 The flaming hot fritos are truly elevated when mingling closely with seasoned beef and rice, but the overarching ultimate taco bell question remained: do they know that fillings should run parallel to the length of the burrito? An entire mouthful of fritos answered that question. The last mouthful of only rice sealed the deal. These ingredients were added perpendicular to the burrito. But why? My only conclusion is that the dough-faced fellow taking my cash and change was also a practicing anarchist. He filled his soul with my pain, and for that I am both upset and impressed. anyone live mas and make a run for the border lately? I had a craving but am on a diet. good for you - best of luck with that!